Phi Lambda Chi fraternity was established in 1925. It is a North-American Inter-fraternity Conference (NIC). The members of Phi Lambda Chi fraternity are focused on the standard of morals and other high school ideas. Phi Lambda Chi fraternity was founded by twelve members. These days, Phi Lambda Chi is a national fraternity that promotes leadership and distinction through its active chapters. 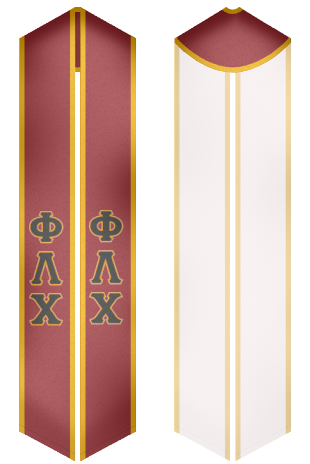 Phi Lambda Chi actively developed from the very beginning. Now, it is a well-recognized fraternity among students. Would you like to attend an event that is organized by Phi Lambda Chi fraternity? Buy a beautiful stole, wear it and look perfect!